Washington, D.C. – 6 December 2018: A raft of new developments were announced 4 December at a major summit held in Abu Dhabi, United Arab Emirates to mark 100 days to go until Special Olympics World Games Abu Dhabi 2019. As excitement builds in the closing stages of preparations for the World Games, an additional 22 nations were confirmed to be competing, bringing the total number to a record 192 countries participating in next year’s Abu Dhabi event. When we started 50 years ago, we had a little over 1,000 athletes from the United States and Canada competing. It’s absolutely incredible that 50 years later we have 7,500 athletes from 192 countries competing! I am blown away by Abu Dhabi’s commitment to continuing to grow Special Olympics into a fully worldwide movement. 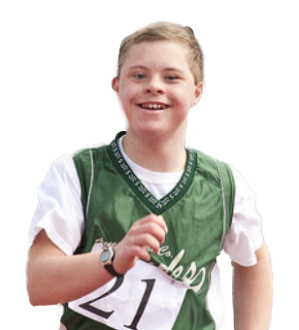 The findings from the first ever study looking at the perceptions of people living in the Middle East North Africa (MENA) region toward people with intellectual disabilities were also previewed at the World Games Unified Summit, hosted by the Local Organizing Committee for the Games. It showed high levels of awareness of government disability initiatives across MENA countries, with the UAE leading the way in people’s positive attitudes toward inclusion and the integration of people with intellectual disabilities. The Summit marked the beginning of the official 100-day countdown to Special Olympics World Games Abu Dhabi 2019 being held 14–21 March 2019. The event featured speakers including H.E. Dr. Sultan Bin Ahmed Al Jaber, Minister of State and CEO of ADNOC Group, H.E. Mohammed Abdulla Al Junaibi, Chairman of the Higher Committee of Special Olympics World Games Abu Dhabi 2019, H.E. Reem Bint Ebrahim Al Hashemi, Minister of State for International Cooperation, H.E. Hessa Bint Essa Buhumaid, Minister of Community Development, and H.E. Shamma bint Suhail bin Faris Al Mazrui, UAE Minister of State for Youth Affairs, as well as representatives from Special Olympics, Special Olympics MENA, and the Local Organizing Committee for Special Olympics World Games Abu Dhabi 2019. The event previewed details of the Host Town Program, the largest cultural exchange in the Middle East, and the Law Enforcement Torch Run. The 320 athletes that make up the full Special Olympics UAE team were also presented together for the first time at the Summit. Special Olympics World Games Abu Dhabi will be the largest sports and humanitarian event in the world in 2019. It is clear that excitement is building across the UAE and across the world as preparations for this major event reach their closing stages. Held at The Westin Abu Dhabi, the full-day Summit covered topics including the 50-year history of Special Olympics and its influence in the MENA region. There was also a preview of the official Special Olympics World Games Abu Dhabi 2019 app, which will feature augmented reality, real time Games information, and features to support people with intellectual disabilities.